Big Bang’s Seungri will enlist in the Army as an active duty soldier at the end of this month, according to YG Entertainment on Friday. He will start his basic training at the Nonsan Army Training Center on March 25. The K-pop star had reportedly applied for a conscripted policeman service in January. “After checking with Seungri, (we found that) Seungri on Jan. 7 applied for a conscripted policeman position. However, he has decided to enlist as an active duty soldier, regardless of the result (for the conscripted policeman position), to avoid unnecessary misunderstandings,” YG Entertainment said. Successful applicants were to be announced Friday. 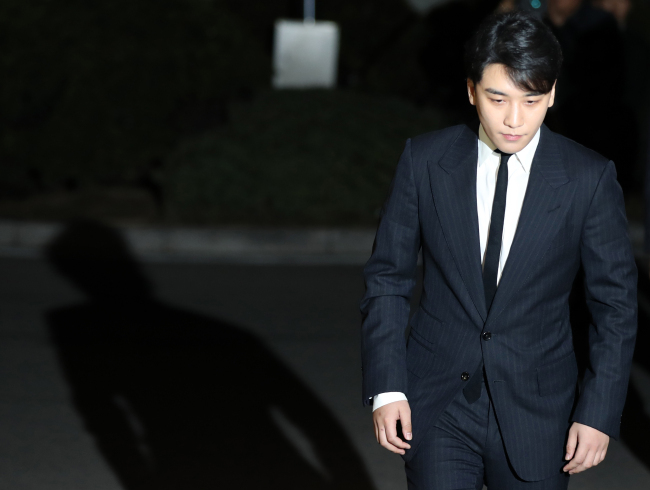 Meanwhile, Seungri was questioned by police on Feb. 27 over alleged involvement in the operations of the scandal-ridden club Burning Sun in Gangnam as well as allegations regarding drug use and sexual bribery. The singer has denied all allegations.